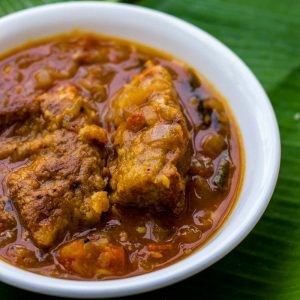 Chettinad style saiva meen kuzhambu or vegetarian fish curry. The fish steaks are made using cowpea – thattapayir and simmered in a tamarind gravy. It looks very similar to a traditional fish curry. There are some recipes that are so fun to make and this is one such recipe. I made this for the first time years ago. There is no fish in this recipe. The cowpea – thattapayir patties are shaped and fried like fish and added to the curry. 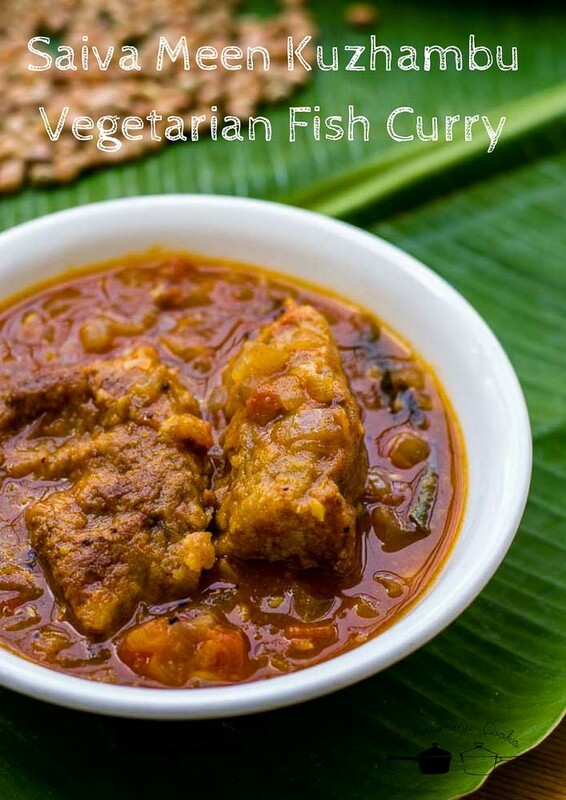 People truly believe that it is indeed the traditional South Indian fish curry. 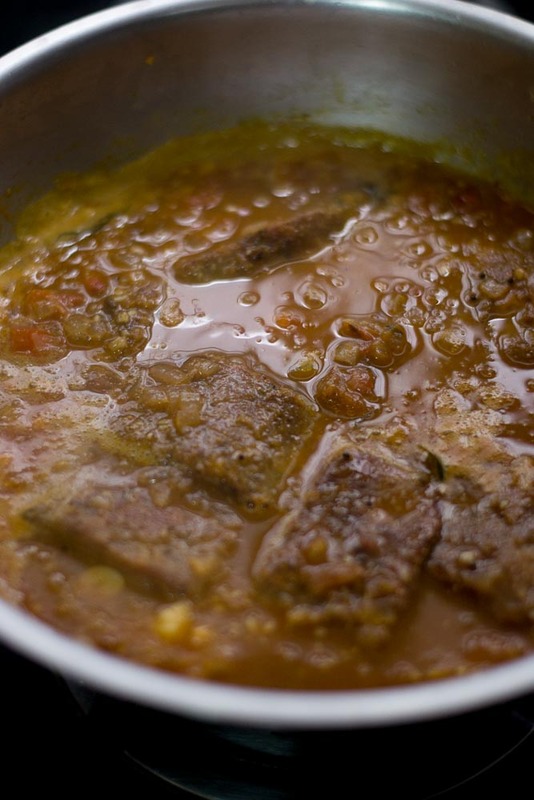 Years ago, Vinodh truly believed that it was fish curry until he took the first bite – the first time. I totally love the facial expression people make after taking the first bite of the fish curry. The curry tastes really good and its the fun part that makes this recipe a winner when you serve them to guests for the first time. I adapted the recipe from here. 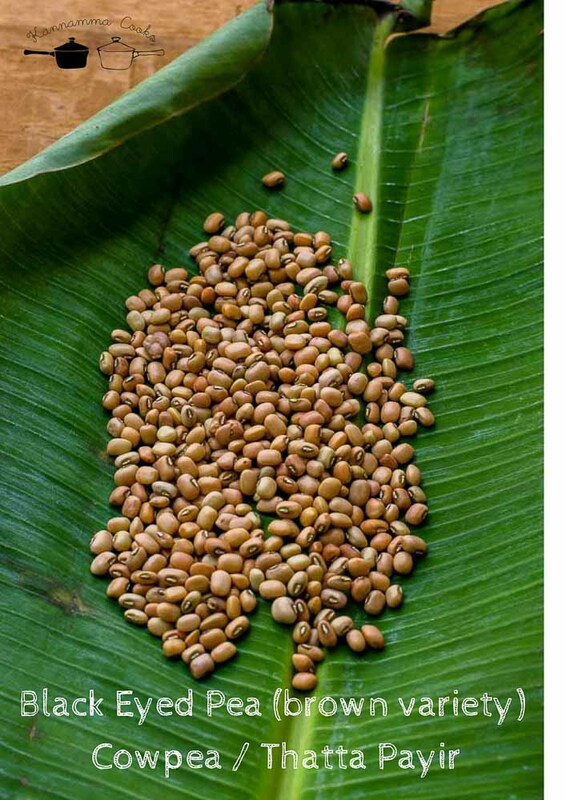 We will be using thatta payir / cowpea – brown variety for making the faux fish steaks. Soak the cowpea overnite in water. Next day, drain the water and grind the cowpea with fennel seeds, red chilli powder, salt and garlic cloves to a thick paste. Try not to add any water while grinding. Add 2 tablespoon of water if the mixie wont budge and make sure that the paste remains thick. Pulse several times if need be. 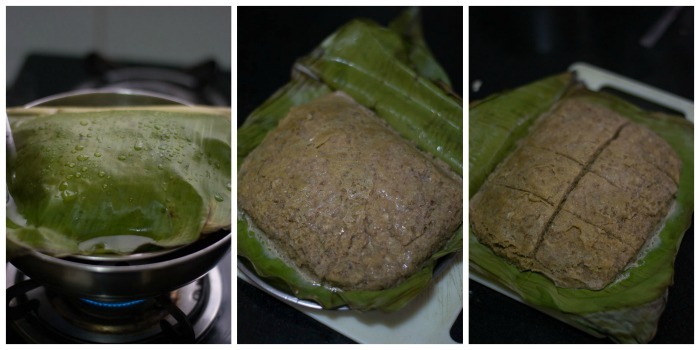 Traditionally, the paste is steamed in a local leaf called “lejjai ketta keerai“. Its also called as nanjundan keerai or lachakkottai keerai. 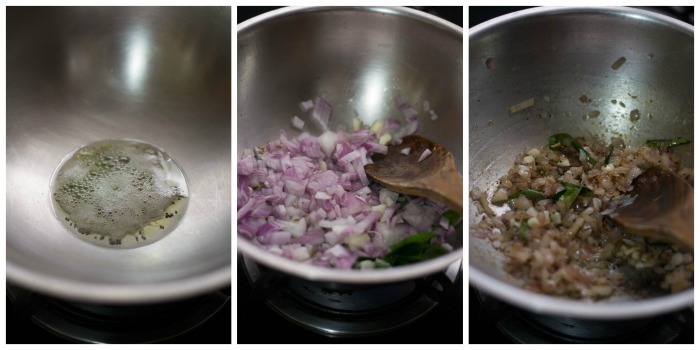 Its widely used in cooking in the chettinad region. They even make a stir-fry with the leaves. Today I will be using banana leaves for steaming the paste. If you cant find banana leaves, you can even use parchment paper as a substitute. 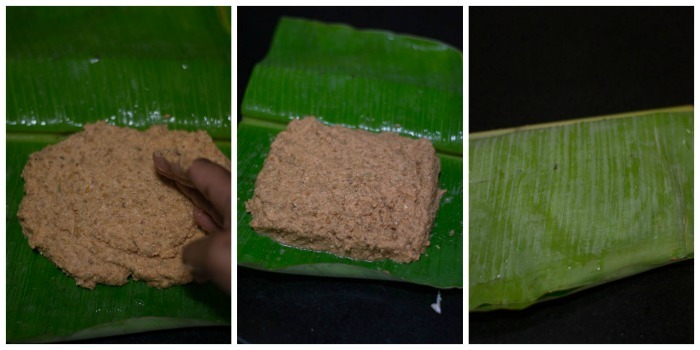 Spread the paste on the banana leaf to form a rectangle. Cover the leaf gently over the paste. 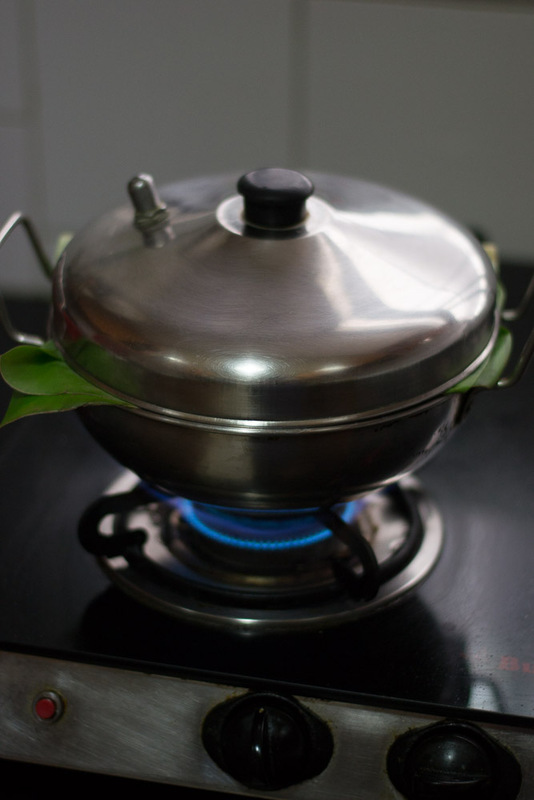 Steam the leaf for 15 minutes in a steamer. Once the paste has been fully cooked, remove the leaf from the steamer and cut the cooked paste into roughly about one inch cubes. Heat Oil in a pan until hot. Place the cubes gently in oil and fry them for 2 minutes on each side until crisp and golden brown. Drain the fried cubes on paper towels. Set aside. Tip: If the oil is really hot, the steamed cubes wont stick to the bottom of the skillet while shallow frying. 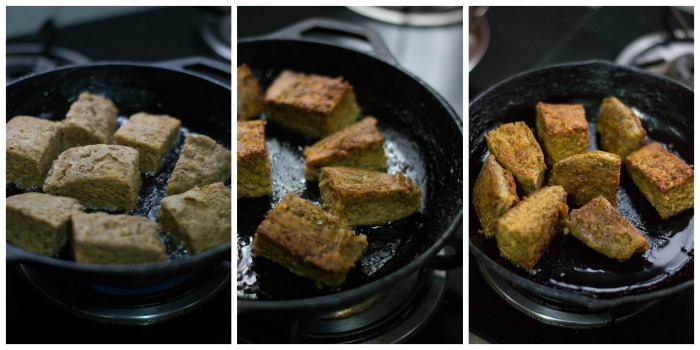 Alternatively, one can use a non-stick pan to fry the cubes. Heat sesame oil in a pan and add in the mustard seeds, fenugreek seeds and fennel seeds. Let the seeds splutter. Add in the chopped onions and fry till the onions are nice and soft and starting to brown. (about 5-7 minutes on medium flame). Add in the chopped tomatoes, coriander powder, sambar powder, chilli powder and salt. Fry till the tomatoes are well cooked and juiced down. Add in the tamarind paste and two cups of water. I have used homemade tamarind paste today. Simmer the gravy for 15 minutes. 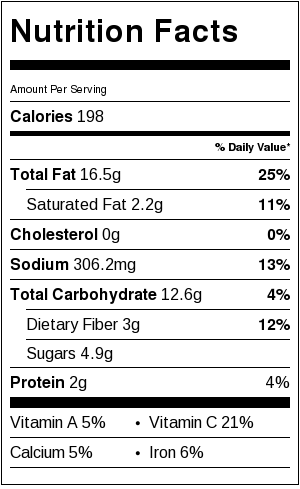 Note: If using raw tamarind, soak a lime size tamarind in 2 cups of water for 20 minutes. Squeeze the tamarind in the palm to extract the pulp. Discard the seeds and use the tamarind pulp in the recipe. Homemade Tamarind Paste Recipe . Add in the fried cubes and simmer for couple of minutes more. The faux fish curry is ready. Do try it at home. 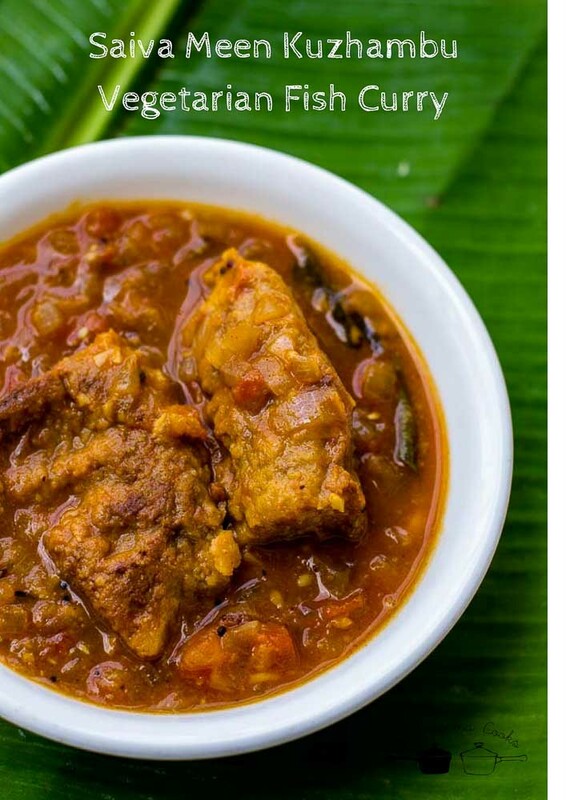 Chettinad style saiva meen kuzhambu or vegetarian fish curry. The fish steaks are made using cowpea - thattapayir and simmered in a tamarind gravy. It looks very similar to a traditional fish curry. Soak the cowpea overnite in water. 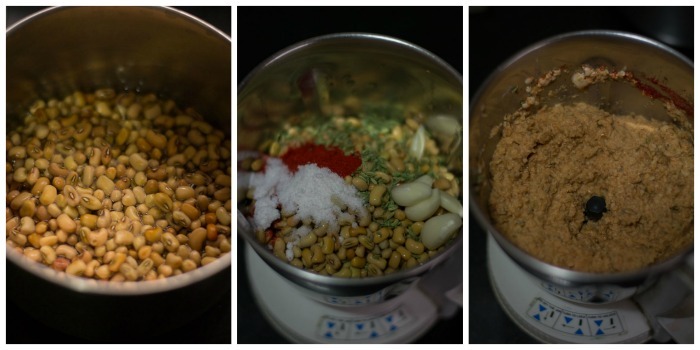 Next day, drain the water and grind the cowpea with fennel seeds, red chilli powder, salt and garlic cloves to a thick paste. Once the paste has been fully cooked, remove the leaf from the steamer and cut the cooked paste into one inch cubes. Heat sesame oil in a pan and add in the mustard seeds, fenugreek seeds and fennel seeds. Let the seeds splutter. Add in the chopped onions and fry till the onions are nice and soft and starting to brown. 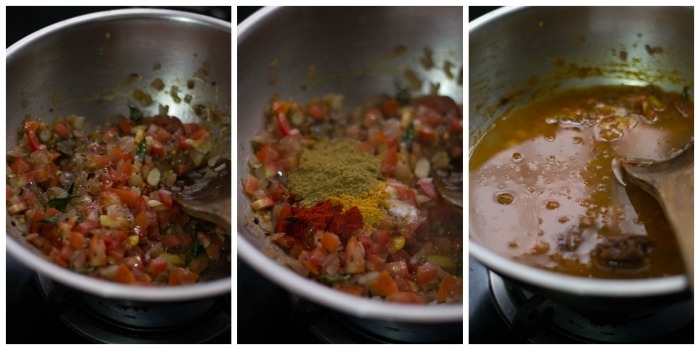 Add in the chopped tomatoes, coriander powder, sambar powder, chilli powder and salt. Fry till the tomatoes are well cooked and juiced down. Add in the tamarind paste and two cups of water. Simmer the gravy for 15 minutes. May I request you to post soya chunks kurma& fry, that tastes similar to Mutton kurma&mutton fry. I understand that it wont taste/smelll 100% like mutton. This is a request from a ex non-vegetarian. I have tried lots of recipes available online. But none of them was perfect. Hi Jeni, Take it easy. Dont stress yourself. Start with simple recipes. Once you have mastered simple recipes, slowly progress to recipes with lot of procedures. Plan your time. Things will get better with practice. The recipe was tasting excellent..enjoyed it..unique item for vegetarians..
can u pls post saiva meen varuval with senai kizhangu? i remember in my school days i had it in my hostel.. I will try to source the recipe Madhi. Thank you!